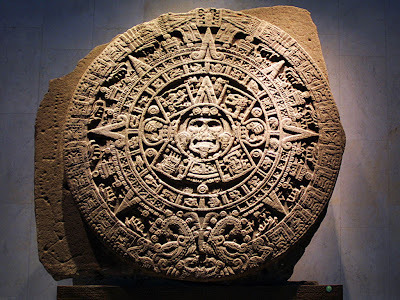 Time has passed since the huge controversial hype over the Mayan calendar's supposed prediction of world annihilation on 2012's winter solstice event, and the calendar as well as the Mayans have received very little media attention since. The press wants a huge story from an old rock, and when the day passed without much of a sneeze, calendar mention went by the wayside. Multiple theories and speculations flew around social media and television channels, yet nothing we know in this physical realm changed. One thing for certain is, many millions of people wanted to see a spectacular natural event take place in their lifetime, and that dream likely did not die off overnight for true believers. Think of this: Let's say with some level of technology or psychic intuition we were able to predict a future event which possibly could destroy the face of our planet - Would we leave a comparable artifact for future generations to discover? An interesting thing about this concept is, it can be said almost without a doubt, no way José. The reason is because we currently know of a theoretical destructive time billions of years in the future, when the sun reaches the end of its life-cycle and grows large enough to eat the Earth whole. If we know this, why do we not leave a stone artifact to warn future generations of the event? Can we really expect an ancient civilization to have done this? 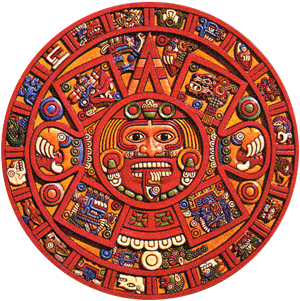 What's more, there is a face (Tonatiuh) in the middle of the Mayan calendar. 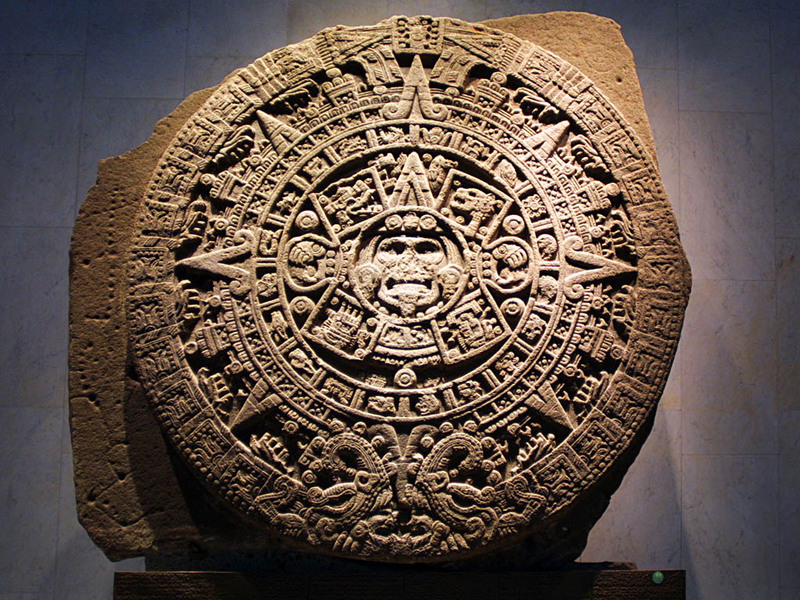 To the Aztecs, Tonatiuh is a symbol of the 5th world, a sun god, and leader of heaven - To us, a reason the calendar is also known as the Sunstone. There is a new twist on Sunstone concepts, however, suggesting the 2012 date was either miscalculated or counted from the wrong starting point. What if instead of destruction, the calendar pointed to an entirely different date, say around 1844, when Joseph Smith, (José! ), created multiple sun-stones in the Nauvoo temple, Illinois only to see them fall in the face of persecution. At the time Mormonism wasn't well liked by other, more established religions, and many of his celestial inspired creations were destroyed. Could the Aztec calendar and Nauvoo temple event somehow be linked together? Does the face in the center represent a messiah, literally the Son, and not the physical sun Earth orbits around? In an actual photo of the calendar, the face does look a little like renditions of Jesus over the years. There are certainly some characteristics it has in common, a sort of crown, locks of hair, facial expression, eye shape. Maybe that's a bit of a stretch, but for some reason the calendar gives an entirely different meaning if Tonatiuh represents the messiah.